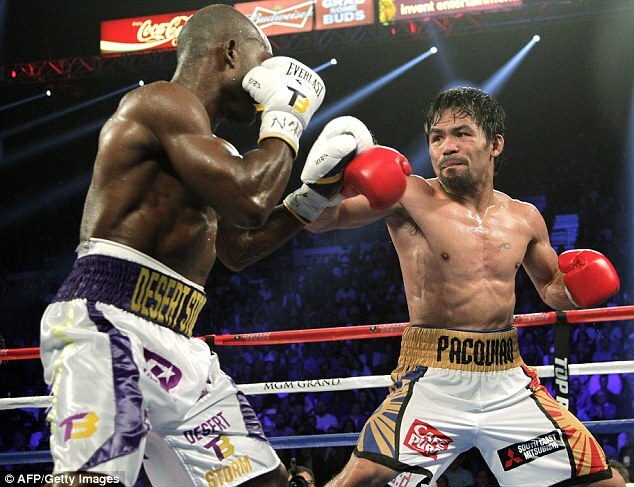 When it comes to meticulous preparation, few can claim to be more focused than the eight-division world champion boxer Manny Pacquiao. 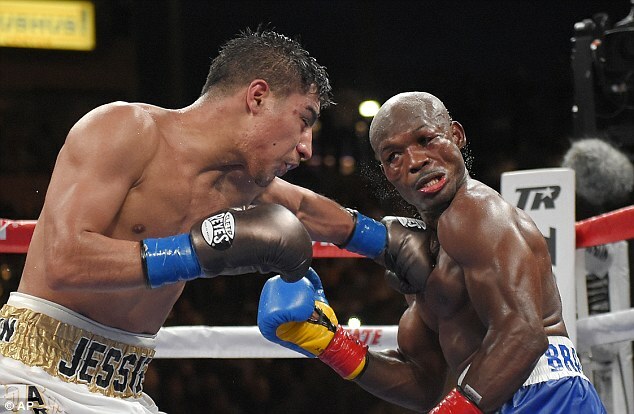 After retiring from boxing in April to concentrate on his political career, however, he will certainly have some sharpening up to do if he is to beat the WBO welterweight champion Jessie Vargas in Las Vegas on November 5. Perhaps that is why the Filipino chose the breakfast he did on Friday morning. The 37-year-old posted a picture on his Instagram account showing a meal that looks a lot scarier than it does tasty. 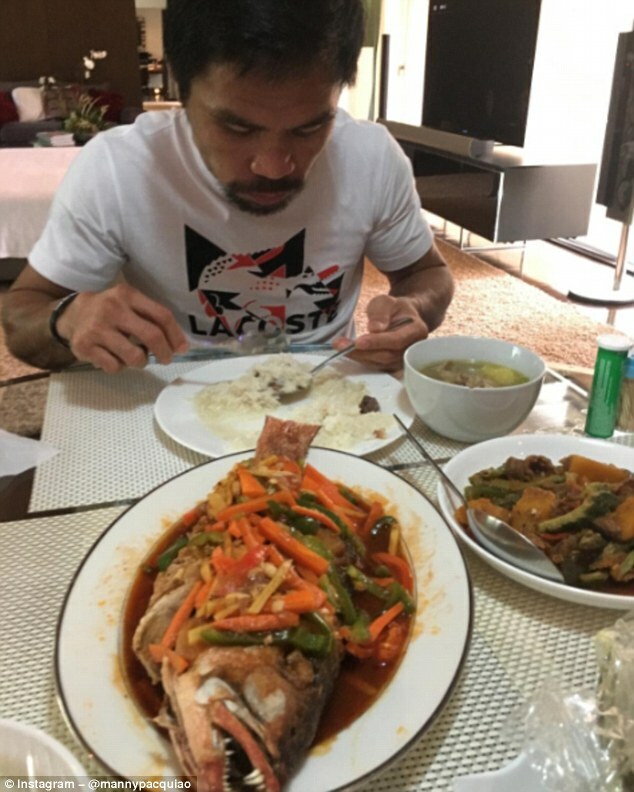 ‘My breakfast today after jogging,’ Pacquiao nonchalantly declares in the caption but there is nothing understated about the razor-sharp teeth on the fish he is about to tuck in to. Not only that, but the fish appears to be one of a number of courses in a breakfast fit for a sumo wrestler. 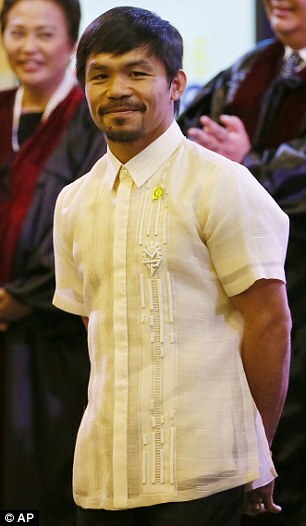 Before tackling the main course, Pacquiao would first have to finish his huge plate of rice, a sizable bowl of soup and a plate of what appears to be some kind of meat and vegetable dish. It suggests Pacquiao has got a few more pounds to add before facing up to Vargas in what will represent his 67th professional bout. The 5ft 6in southpaw hung up his gloves after being elected to the Philippines senate earlier this year but appears to have found a way to manage the demands of his legislative work and his boxing. Asked why he had decided to come out of retirement, Pacquiao previously admitted: ‘The main reason is because when I hung up my gloves, I realised that the sport that I loved, I was no longer active with that. Despite spending the last seven months out of the game, Pacquiao’s strength and conditioning coach Justin Fortune believes he remains far superior to his upcoming opponent. Speaking to GMA News, Fortune said: ‘Listen, it’s Jessie Vargas, he’s a world champ so he’s a good fighter, but he’s not on the same level as Manny. It’s just a simple fact that Pacquiao is faster and ridiculously stronger than Jessie. I mean there’s no way around it. ‘He has the age advantage, so what? He doesn’t have the experience, doesn’t have the power and he doesn’t have the speed,’ he added.